Bingo Bango Bongo is a points-based game that can be played by any number of golfers, from two up. 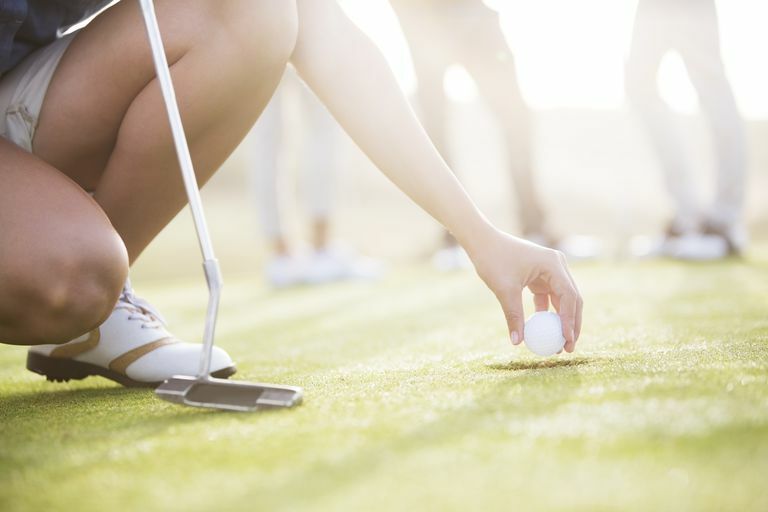 The format awards a point to the golfer in a group who is first to get on the green; who is closest to the pin once all balls are on the green; and who holes out first. This format is also known as Bingle Bangle Bongle, although that is a much less common name. Be the player in the group who is first to get their golf ball into the hole (bongo point). The goal, as you probably can guess, is to earn the most points during the round. All golfers add up their points at the end of the round and high points win. This is a good game for golfers of varying skill levels playing within the same group because it gives weaker players a chance to earn points in a couple ways. For example, the bingo and bongo points depend on being first on the green and first in the hole, respectively. So if you are farthest from the green, you play first and get the first crack at claiming the bingo point. Likewise, once all balls are on the green, if you are farthest away from the hole you putt first, again getting the first crack at the point. The best chance for weaker players in Bingo Bango Bongo, however, is with the bango point, closest to the pin. The reason is that the closest-to-the-pin point is only awarded after all balls are on the green. The best players in the group may be on the green in two (or three on a par-5). Meanwhile, the player who has hacked it up the fairway might be sitting just off the green and chippinggiving that player a great chance to pick up the bango point. Because of these factors (and because the first person putting will be the one farthest from the hole), strict etiquette must be enforced. The player who is away always plays first. The golfers' actual scores on a hole don't matter at all as far as earning Bingo Bango Bongo points, but they still determine honors on the tee. And that does matter in the game in this way: It's a big opportunity to tee off first on par-3 holes. You get the first crack at earning that bingo point for first-on-the-green. So having the low score on a hole preceding a par-3 is a very good thing. Want to throw a little variation into the mix? Award double points to any golfer who manages to win all three points available on a single hole. Bingo point: Goes to the golfer on the green in the fewest strokes. Bango point: Goes to the golfer who is closest to the pin after all balls are on the green. Bongo point: Goes to the golfer with the low net score on the hole. Ties for any given point result in splitting that point (a half-point for a 2-way tie, third-point for a 3-way tie, quarter-point for a 4-way tie). How Do You Play the Split Sixes in a Game of Golf? How Do I Play the Nine Points Golf Game?